Thua Thien-Hue (VNA) – The number of foreign tourists visiting the central province of Thua Thien-Hue in the first three months of 2019 accounted for over half of the total number of tourists to the locality. From January to March, Thua Thien-Hue welcomed 1.25 million tourist arrivals, of whom more than 642,900 were foreigners, up 20.26 percent year-on-year. The local tourism sector earned 1.1 trillion VND (47.3 million USD) in the period, up 5 percent from the same period last year. The province expects a surge in the number of tourists in April and May as many cultural events are scheduled to take place at that time, including the Hue Traditional Craft Festival 2019 from April 26-May 2. The strength of Thua Thien-Hue’s tourism has been promoted through the “Hue – One Destination, Five Heritages” tour featuring the five UNESCO-recognised heritages of the Complex of Hue Monuments, Nha nhac (Vietnamese court music), the woodblocks of the Nguyen Dynasty, the imperial archives of the Nguyen Dynasty, and the literature on Hue royal architecture. 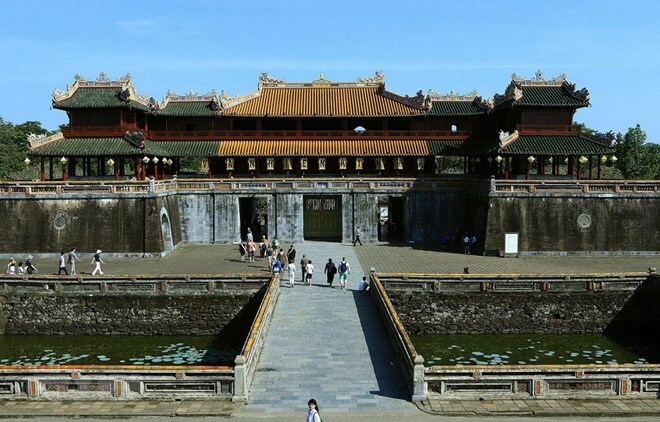 Recently, the provincial Department of Tourism worked with Apex Vietnam Travel JSC to hold two fam trips for Japanese travel agencies to survey local destinations from March 1-2 in the first stage and from March 19-20 in the second stage, including Hue Imperial Citadel, Khai Dinh temple and Thien Mu pagoda. The Japanese delegation also held a working session with leaders of the Hue High School for the Gifted to build study tours for Japanese high school students, enabling them to study and exchange with fellow students in Hue. The study tours, if implemented, are expected to create a breakthrough for the province’s tourism sector. To attract more tourists, the province plans to organise a series of festivals highlighting local unique products and culture, such as kite, lantern, vegetarian cuisine, lotus flower, beer, and lion dance.